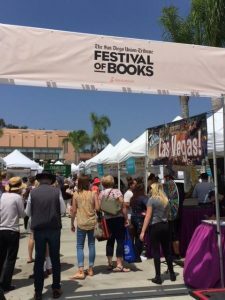 The second annual San Diego Union-Tribune Festival of Books took place this past Saturday at Liberty Station. Last year’s inaugural event drew upwards of 10,000 people, and I’m pretty sure the 2018 version outdid that number. 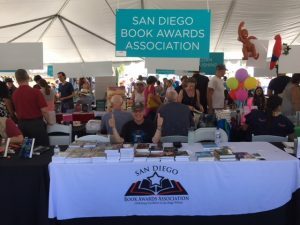 I got to sign my two award-winning novels, Freedom’s Hand and Stone Woman—and my twenty-something other books—at the San Diego Book Awards Association’s table. 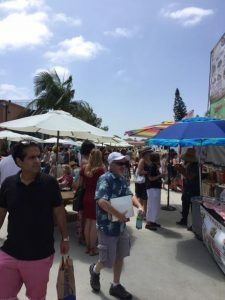 But the best part was running into old friends, colleagues, former students and clients. Here’s hoping this event continues for decades to come. I offer some photos from the day. Hangin’ with old writing buddy Matt Pallamary. 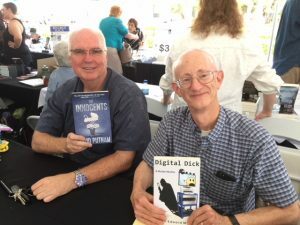 Former students Dave Putnam (l) and John Mullen show off their books. Thanks for sharing pics! 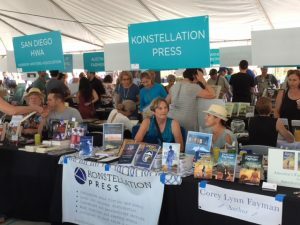 I attended last year (the first year) and was thrilled to see such a wonderful turnout. 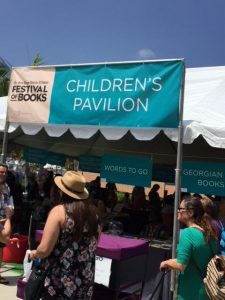 Glad San Diego has such a fabulous book festival! Yeah, Indy, I think this Festival is here to stay. 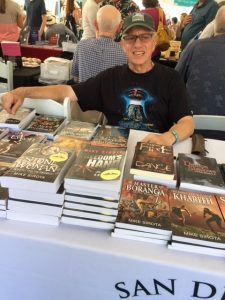 It was my first “book event” in a couple of years, and I’m glad that I did it. 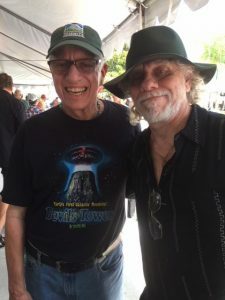 Mike, I enjoyed seeing you Saturday. I hope to see you again next year. Likewise, my friend. And you WILL see me again at next year’s Festival!